Pena Palace the colourful palace on top of the Hill of “Serra de Sintra”. This is the ultimate action-packed tour of Portugal- ideal for those with limited time who want to see as much as possible. 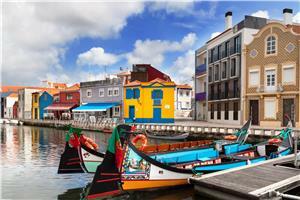 Highlights include a wine tasting in Porto, the medieval town of Obidos, Braga, and Alcobaca. Welcome to LISBON, the sunniest city of Europe, well known by the city of the 7 hills. Meet your local assistant. Transfer to your hotel. Dinner on your terms. Overnight in the hotel. 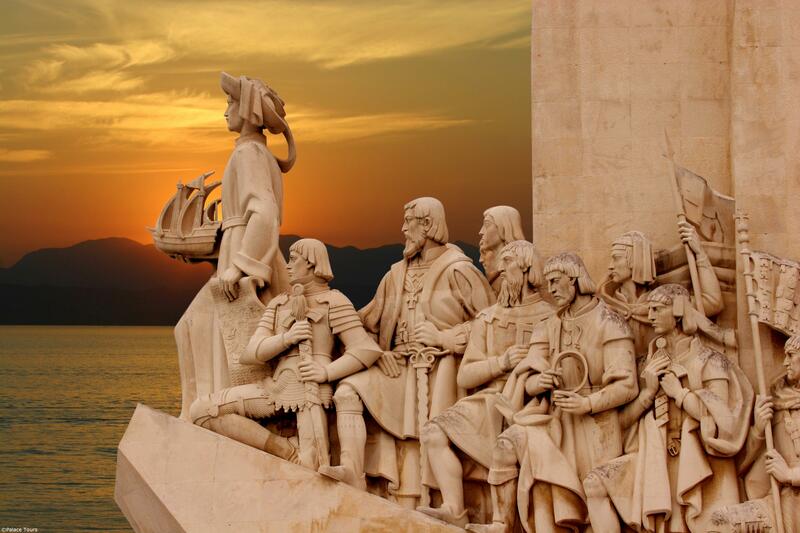 This morning we visit the lovely bay-side town of Belém, world renowned for its historic walking areas, magnificent Church and Cloisters of the Jerónimos and famous Belem Tower. Of course we can’t leave this area without tasting the FAMOUS “pastel de belém,” a wonderful custard tart pastry from the Belem Pastry (Take-away included). In the afternoon, we will go to the typical neighborhood of Alfama, with its winding streets and flowered balconies. Climb to the Belvedere of Santa Luzia from where we have one of the most beautiful panoramas on Lisbon. Continuation of the visit with Rossio and the “Praça do Comercio”, downtown and business. Free time to walk and discover this bright city. After breakfast our day begins with an exhilarating sightseeing tour of the “Sunny Coast“, the cosmopolitan ESTORIL and CASCAIS. The colourful Bay of Cascais is both a traditional fishing village and a lively resort with bars, nightclubs and restaurants. We continue on to the Cabo da Roca cliff, which is the most westerly point of continental Europe. A scenic drive takes us to the medieval village of SINTRA (a UNESCO World Heritage Site). Lord Byron called Sintra “the most delightful village in Europe.” Enjoy a walking tour of the village. Here we visit the Pena Palace the colourful palace of the top of the Hill of “Serra de Sintra”. Continuation to your hotel in the Center Region. 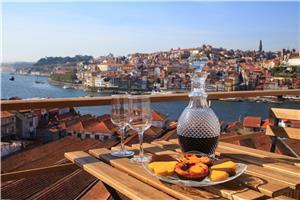 Today we have a full day to discover Portugal’s second largest city : PORTO. This is the city that originated and named Porto Wine and Portugal, famed for its riverside hills, medieval alleys, Parisian-style plazas, historic monuments, churches and enchanting atmosphere. 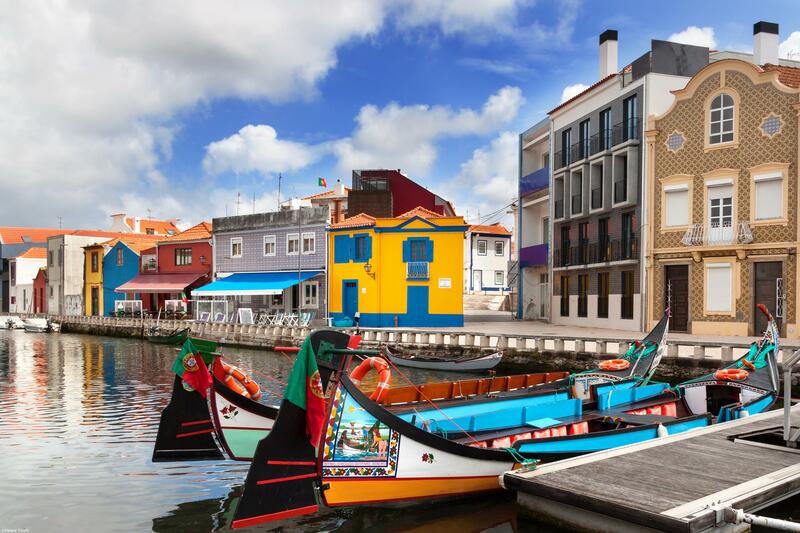 We’ll tour the city and visit the impressive gothic church of Sao Francisco, as well as the Stock Exchange Palace and its famous Arab Room which is used for personalities. After we’ll walk along the historical center of the city, a UNESCO World Heritage site. Pass the beautiful cathedral and visit the São Bento Station, well worthy of a visit with the huge entrance hall covered with some twenty thousand pictorial tiles. The work of Jorge Colaço, they feature historical and ethnographic images. In the end of your day visit a wine cellar and enjoy a Port wine tasting. Back to your hotel. Dinner on your terms. Overnight in the hotel. Excursion to the fortified medieval town of ÓBIDOS with its typical narrow streets and ramparts that encircle the city. Tasting of the famous Ginjinha (cherry liqueur). Continue to NAZARÉ, a picturesque fishing village, at the foot of a steep cliff. The most typical and colorful beach of Portugal will seduce you with its ancestral traditions where women dressed in black wear up to seven petticoats. Lunch on your terms (we recommend a fish dish). Leisure time to stroll along this beautiful beach. Climb to the “Sítio” to admire the landscape. Departure for ALCOBAÇA where is one of the most beautiful Cistercian abbeys of Portugal, which was one of the richest and most powerful of the country. You will discover the church of the monastery and the moving love story of Pedro and Ines (entrance in supplement). Back to the hotel. Dinner on your terms. Overnight. Private transfer to Lisbon airport. - Any other expenses not mentioned in “Included”. Cancellations should be intimated by FAX to the corporate office in Miami, FL. Guests need to add 3 business days to the above timeframes. An administration fee of 15% on any monies paid by the client will be charged prior to refund. We strongly recommend purchasing travel insurance to cover the losses incurred in case of cancellation. For information on available plans or to purchase travel insurance, please visit www.palacetours.com/insurance. Special Offers and news from luxury trains in Europe including the Orient Express, El Transcantabrico, Al Andalus, Royal Scotsman and Grand Hibernian luxury trains. Contact Palace Tours for details about these offers and reservations.